The investigators of the Prosecutor General's Office (PGO) are searching the properties of Andriy Kliuyev, the former head of the Presidential Administration, and Volodymyr Sivkovych, the former deputy secretary of the National Security and Defense Council (NSDC). 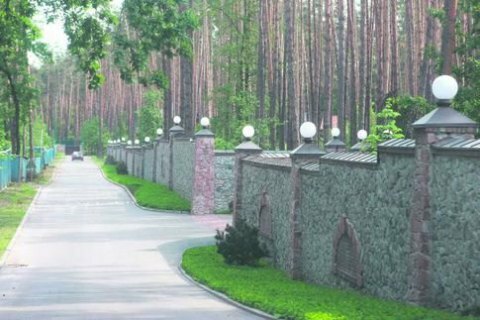 “The investigative actions of the estates of Andriy Kliuyev and Volodymyr Syvkovych are being carried out,” prosecutor general’s press secretary Larysa Sarhan told Ukrinform. According to Sarhan, a report on the progress of the investigation will be posted on the PGO’s official website in the near future. Previously, she reported that the Prosecutor General's Office conducts a search in the house next door to the head of the Radical Party, Oleh Lyashko's place. Volodymyr Syvkovych and Andriy Klyuyev are the prime suspects in the Maidan clampdown on November 30, 2013. Now they are reportedly hiding in Russia.